Melrose Damask Ivory Blue Area Rug by Home Dynamix - 7'10" x 10'2"
Melrose Damask Ivory Blue Area Rug by Home Dynamix - 5'2" x 7'2"
Melrose Damask Ivory Blue Area Rug by Home Dynamix - 9'2" x 12'5"
I like the colors and the size. Also price was good on sale. However, the creases in this rug have not gone away. This is disheartening and I haven’t had a rug where left a week still had creases. 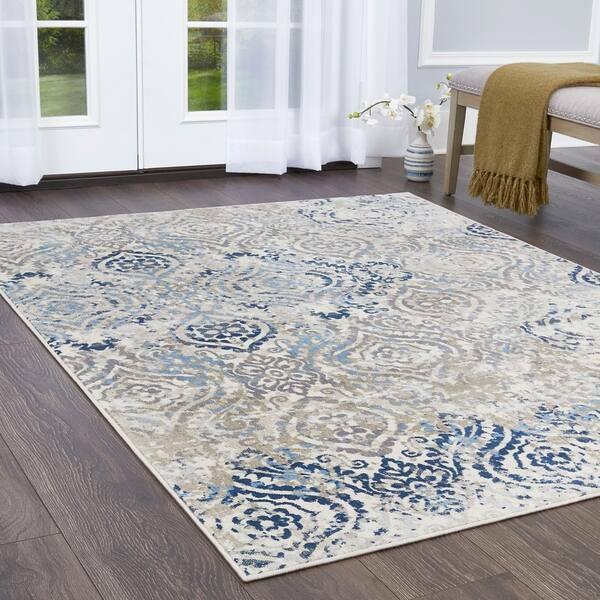 Melrose Damask Ivory Blue Area Rug by Home Dynamix - 4' x 5'4"